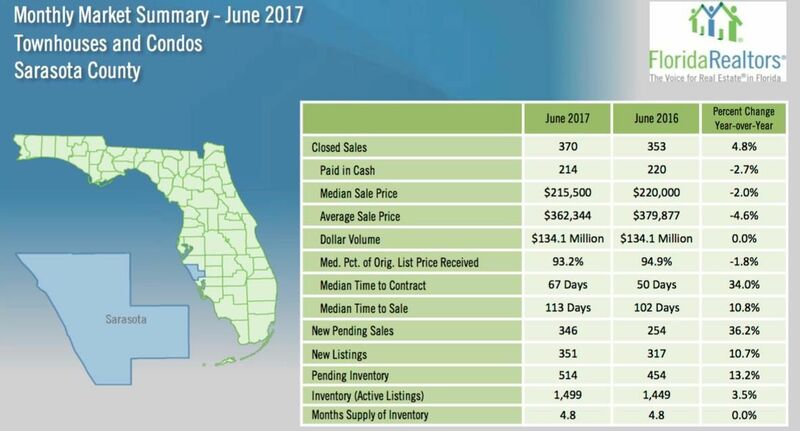 The Sarasota condo market had a significant 36.2 percent increase in pending sales and a jump in NEW listings, but a decrease in median Price. The Inventory continues to increase year after year. However, compared to last month, inventory showed a decrease by 6.2 percent from last month. Single family homes Inventory dropped by 3.6 percent. 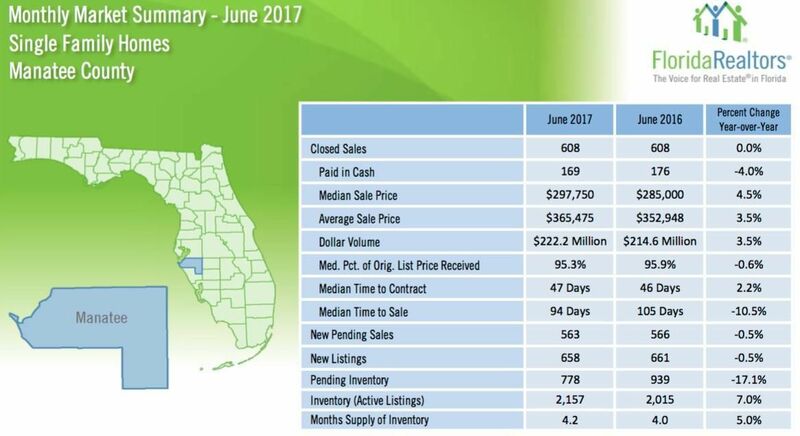 Single Family home CLOSED SALES showed a drop in June by 0.4 percent, primarily in Sarasota. PENDING Single Family Home sales increased by 7.9 percent in two counties combined. 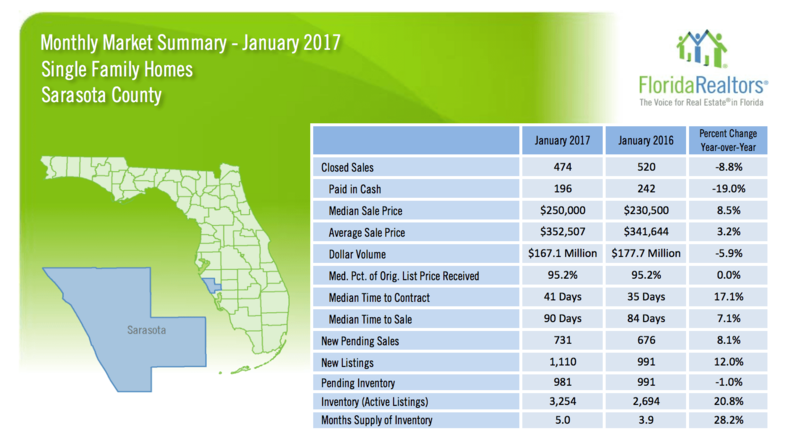 These figures can be a good indicator of future CLOSED sales. "Time on Market" can be best described as the time between "Listing to Closing". 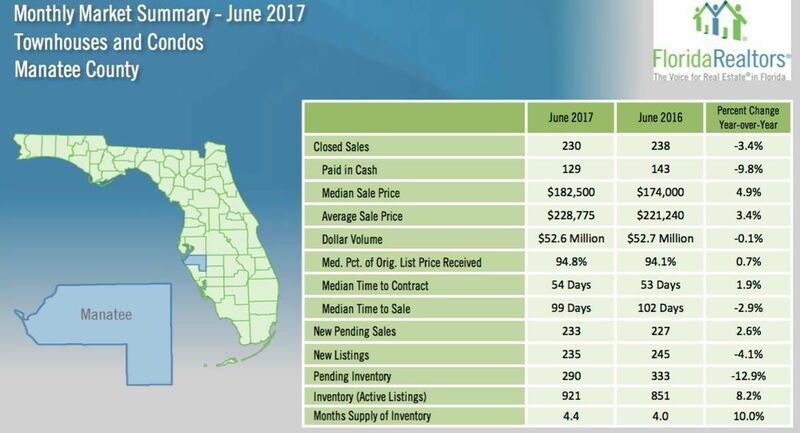 Sarasota condos spent 67 days, while Manatee spent 54 days on the market. 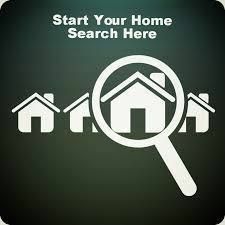 For single family homes, Sarasota is at 61 days on the market and Manatee at 47 days. Single family homes in Sarasota are at a median price of $275,000, an increase of 10.9 percent from last year. Manatee single family home prices increased by 4.5 percent to $297,750. Condo prices are up 4.9 percent to $182,500 in Manatee County, but showed a 2 percent decrease for Sarasota County at $215,000.